Deep Ocean, recalls the dark shades of the ocean, with the different shades of blue, alternating with lighter shades that resemble the white of the waves. The prevailing color is oil, which gives volume to both the leather and the fabric, and mixes with style to other shades of blue and the precious violet glossy violet lacquer. The decorations of the various textures offer three-dimensionality to the products, recalling the movement of the waters and the presence of the waves, reproduced by the details in white leather that brighten up the environment. Deep Ocean, revokes the dark tonalities of the ocean. The prevailing color is dark blue-green, which gives volume to both leather and texture. The decorations of the various textures offer the idea of ​​the beauty of the light. The last Giorgetti & # 039; s moodboard is Cipria, bears exactly the name of the color of the powder used in cosmetics, which alternates with dark colors. The soft pink marries harmoniously the charcoal leather and marble, whose light is the color of the powder. The paler tonalities, accompanied by darker colors such as black walnut and leaden gray, create an effect of ice that perfectly matches with a dark background prevail, in order to give brightness to the surrounding space. 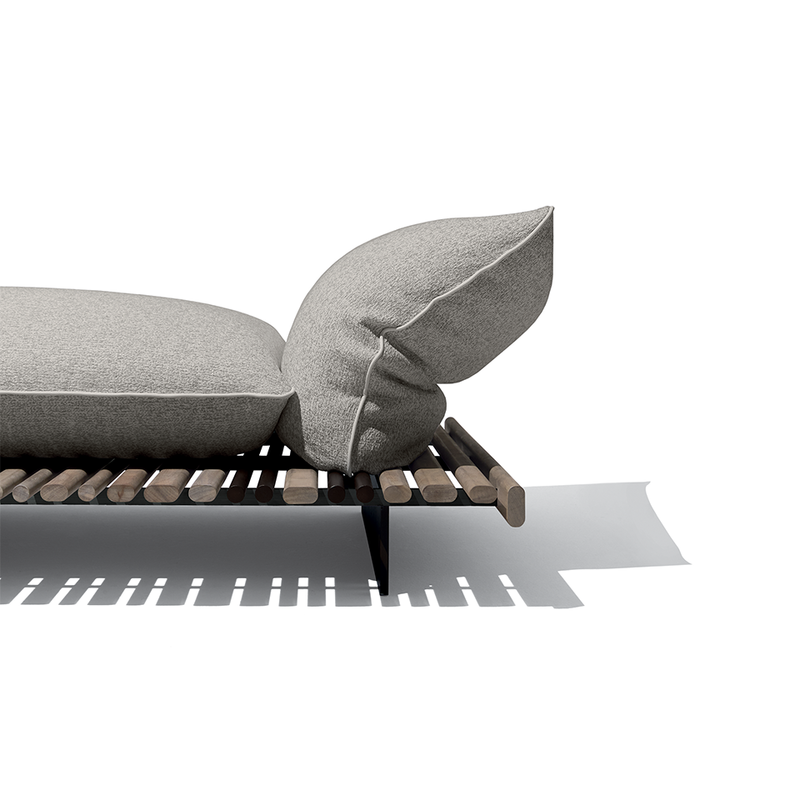 The new moodbord of Giorgetti is Cipria and takes its name from the coloring of the powder used in cosmetics, which alternates with dark colors. The soft pink is harmoniously combined with anthracite leather and marble, whose pale veins recall the color of powder. 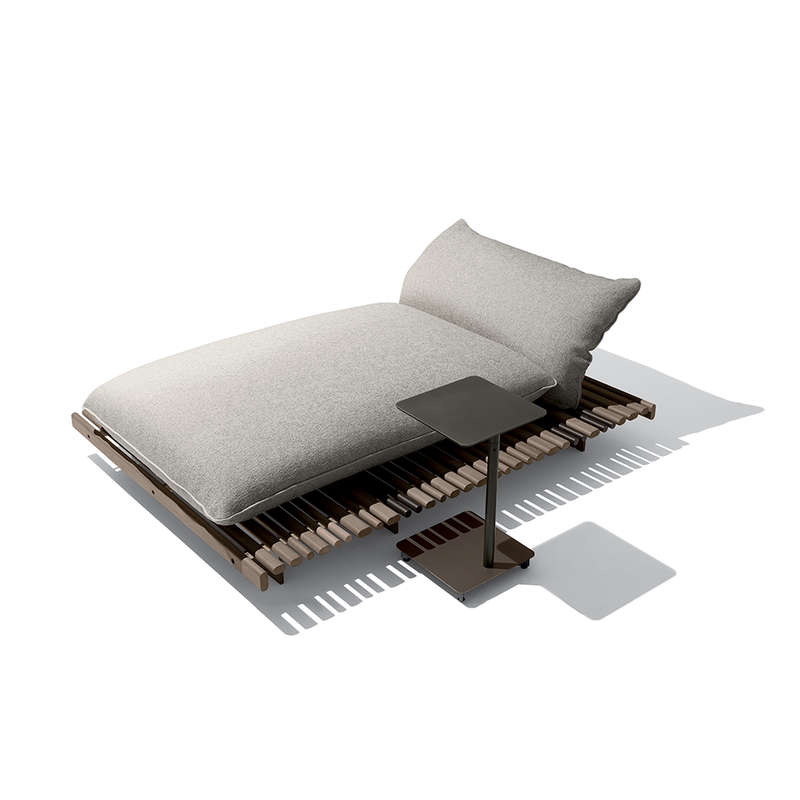 Apsara, the outdoor modular system, is a new chaise longue with a reclining backrest, either free-standing or attachable to the chaise longue. 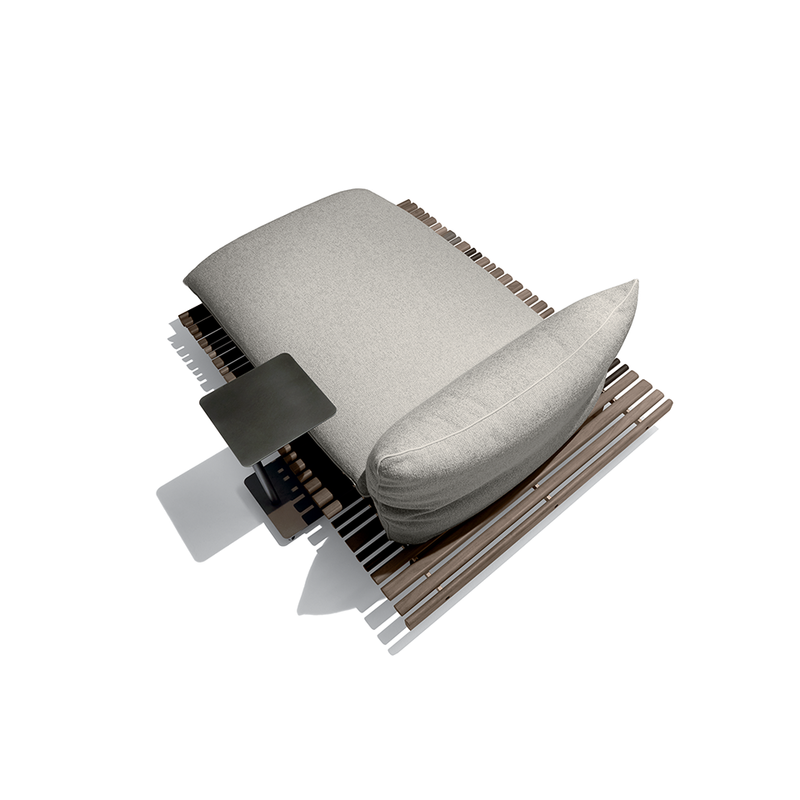 Here again, Ludovica and Roberto Palomba were inspired by the concept of simple living, a very low platform in carob colored aluminum alternated with afrormosia wood slats, which holds a movable composition of cushions with removable, waterproof covers, so outdoor living can be a relaxing experience.